Sports betting apps in Australia are some of the most advanced in the world. Mobile bookmakers like William Hill, Ladbrokes and SportsBet have developed Android and iOS wagering software that allows Australian sports fans to place sports bets in seconds from their tablets or smartphones. Anyone with an iPhone, Microsoft Lumia, Apple Watch or Android can now bet on the Sydney Swans in the AFL, get live scores and alerts on every game in the NRL, compete in tipping competitions with huge prizes and watch live horse racing from racetracks in Victoria/Melbourne and New South Wales. Bet365 are one of the oldest and most trusted bookmakers in the world. Rather than focus on opening a chain of betting shops like their competitors, they instead focused on their online presence by developing the most advanced betting apps available. 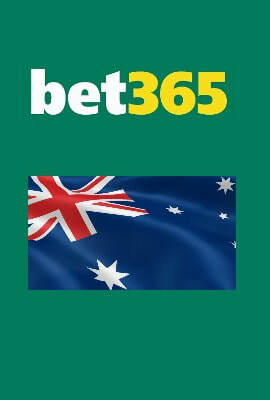 Bet365 have produced a specific iPhone and Android app for Australia. Place mobile wagers on the NRL, AFL, NBA, English Premier League, and more. Real-time visualisations & detailed stats for tennis, footie, cricket, rugby etc. Quickly and easily create multi-bets from your iPhone, iPad or Android. Quick Code allows you to easily place single and multi bets on your iOS/Android. Get horse racing results and complete forms guide for dogs and horse racing. Get the Bet365 Mastercard which will give you instant access to your money. Set-up alerts via the Bet365 app so you'll be notified about events of your choosing. The Australian government has recently been introducing a whole range of anti-gambling legislation that bans in-play betting and threatens the future of online poker. Despite this, Australian bookmaker apps for Android and iOS continue to innovate and develop. The advent of smartphones has spurred the growth of online gambling in Australia, with punters increasingly reaching for their iOS, Android and Windows devices to place their bets. While enjoying the convenience of mobile betting on an iPhone or Samsung Galaxy, Australians also happen to be sports-loving people – this makes the country prime real estate for bookmakers. From locally produced sports such as Australian rules (AFL) to internationally renowned counterparts like football and rugby union, the land Down Under is home to a diverse sporting landscape that provides fans with plenty of betting options. Australian rules football, known as AFL, is Australia’s most popular sport. An 18-team competition, it feature sides from Melbourne, Sydney, Adelaide, Perth, Brisbane and the Gold Coast. Melbourne-based powerhouse Hawthorn have dominated the competition in recent seasons, although their run of three consecutive premierships came to an end in 2016, when the Western Bulldogs ended their 62-year title drought. Other dominant sides that draw the attention of bettors include the Sydney Swans, Geelong Cats, West Coast Eagles and GWS Giants. Australian bookies like CrownBet now live stream Aussie Rules games to iPhone and Android tablet and phones. Australia’s domestic rugby league competition, NRL, is hugely popular for sports bettors in the state of New South Wales, home to 10 of the competition’s 16 teams. The Cronulla Sharks are the reigning champions after a grand final win over traditional powerhouse the Melbourne Storm, while other notable sides include the Brisbane Broncos, Manly Sea Eagles, Gold Coast Titans and Penrith Panthers. There is even a team from New Zealand, the Auckland-based New Zealand Warriors. All the Aussie mobile sportsbooks allow you to wager in-play from your Apple Watch, iPad and iPhone. While not as popular as NRL, the transnational Super Rugby competition features six Australian sides – ACT Brumbies, NSW Waratahs, Melbourne Rebels, Queensland Reds and Western Force. These teams compete alongside 12 rival clubs from New Zealand, South Africa, Argentina and Japan. Australians love to bet on their national side, the Wallabies, who compete in an annual Rugby Championship against South Africa, Argentina and global powerhouse the All Blacks. The Wallabies and All Blacks also battle for the Bledisloe Cup in a three-match series, with two of the matches counting toward the Rugby Championship standings. Australians live and breathe horse racing, and love to wager on it. Nowhere is horse racing betting more prevalent than in the state of Victoria, where race days take place on 363 days of the year. Victoria’s capital, Melbourne, hosts the highlight of the Australian racing calendar, the Spring Racing Carnival. Both William Hill and SportsBet mobile bookmakers allow you to wager and then watch horse racing from the state of Victoria and NSW. ​There are several Group 1 highlights throughout this showpiece carnival, including the Cox Plate and Caulfield Cup. But, the jewel in the crown is the Melbourne Cup, otherwise known as ‘the race that stops a nation’, which attracts some of the best thoroughbreds and trainers in the world. Outside of Melbourne, the Sydney autumn racing carnival is also noteworthy, with the Golden Slipper, Doncaster Mile, T J Smith Stakes and Queen Elizabeth Stakes the standout races. The A-League, Australia’s domestic football league, is a relatively young competition that has enjoyed considerable growth in recent years. Mobile betting on the competition has also increased on iOS, Microsoft Lumia and Android devices, with the rise of the FFA Cup, a domestic cup competition featuring lower-league team and A-League outfits, also a factor in this. Adelaide United are the reigning A-League champions, but the likes of Melbourne Victory, Brisbane Roar, Sydney FC and Western Sydney Wanderers regularly feature at the business end of the season. Melbourne City, a sister club to English powerhouse Manchester City that is owned by the City Football Group, is also on the rise and has become the competition’s glamour club in recent seasons.